If you run a game, but instead of the game, happy cloud shows up, it means the game not downloaded yet, you need to keep happy cloud open until game fully downloaded. However, happy cloud will try to launch the game before the download process completed. After download the starter core of huge game (258M starter package), happy cloud client will try to run the game and keep download rest of the game. It’s recommend not to turn off the happy cloud client, otherwise you may can’t continue to play game. 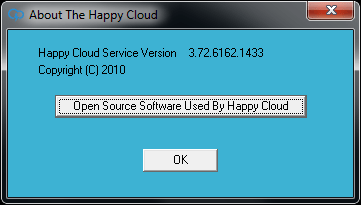 Once you are sure the entire game has finished downloading, you can uninstall the happy cloud client. Uninstall it won’t uninstall the game. What is Akamai Netsession Interface and Should I keep it?